Give the gift of Family Emergency Preparedness and Safety this Christmas! What Could Possibly Go Wrong??? How To Go From Completely Clueless To Totally Prepared by Survivor Jane. Great introduction to preparedness without the technical jargon or doom-and-gloom that might put off many people. Written by a woman especially for women, but newbie men will benefit , too. Emergency Food Storage & Survival Handbook, by Peggy Layton, has detailed information and lists for everything from an emergency car kit, to a 72-hour emergency kit (aka "bug out" kit), to building stockpiles of food, water, medicine and other necessities. Included in the book is a section on ideas for apartment dwellers and others with little storage space. 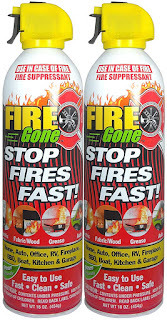 Fire Gone Fire Suppressant Canisters. For class A, B, and C fires. Affordable and easy-to-use, have one in the kitchen, garage, laundry room, workshop, near the fireplace, and anywhere a fire may start. Wsky LED Tactical Flashlights. 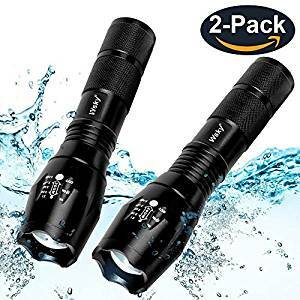 Powerful LED waterproof flashlights - Perfect for home emergency use, as well as camping, biking, hiking, and gift-giving! Keep one in the car for roadside emergencies! 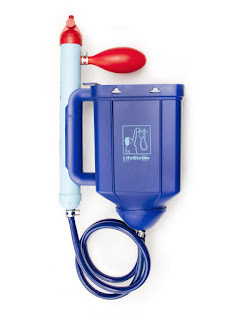 LifeStraw Family 1.0 Water Purifier. Same technology as the LfeStraw individual filter, the family filter can handle filtering up to 18,000 liters (4,755 gallons) of water, in one liter at a time. 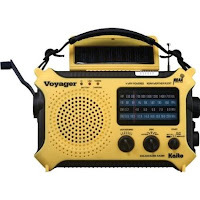 Makes it great for long-term emergencies, as well as camping. 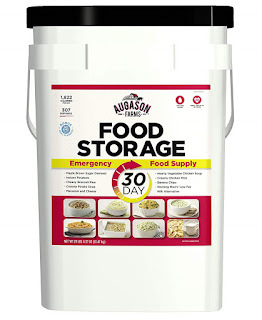 Augason Farms 30-Day Emergency Food Storage Supply. Thirty-days worth of complete meals in individual pouches - over 300 servings in all. (1 person = 30 days; 2 people = 15 days; 4 people = 7 days). Perfect for both Grab-&-Go (evacuation) situations and Shelter-in-Place. 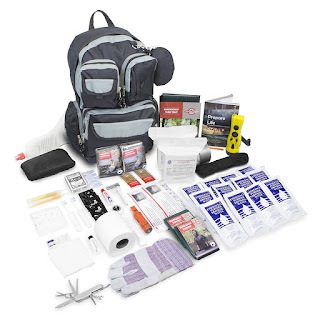 Emergency Zone Survival Kit / Bug-Out Bag. 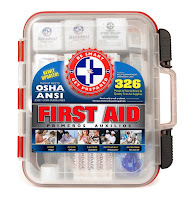 This a great all-in-one solution for a survival pack or bug-out-bag containing emergency gear and enough supplies for 2 people / 3 days (a 4-person kit is also available). Bag has room to add extra supplies. Watch the video below.